It's our Last Summer Holiday Weekend .. Here's a Short list of Events going on in and Around Victoria, BC the Labour Day Holiday weekend. Sept 4th. Concerts in the Park..Head down to the Cameron Band shell at Beacon Hill Park for a Free Concert from the Yiddish Columbia State Orchestra 1:30pm to 3:20pm. Sept 7th. Labour Day Picnic-Victoria Labour Council's 27th annual Labour Day Celebration includes musical entertainment from the Timebenders plus food and beverages and entertainment for the kids. from 11 am to 2pm Monday Labour Day on the BC Legislature lawn. HAVE A FUN HOLIDAY LABOUR DAY WEEKEND VICTORIA!! Hi MIKE ROCK Come again Soon, we can Meet for Coffee and maybe tour around Victoria. Fred, with all this going on, surely you won't be doing any real estate! Would love to see all those boats in the Inner Harbor. Hi Joan Cox Bring Ginny Gorman and fly in for the balance of the weekend. I'll gladly pick your two up at the airport. Cheers, beside you kitchen is all apart, time to escape. Oh, if only it were a stone's throw away Fred Carver ...the ice cream eating I could do well with!! 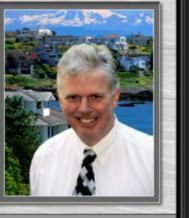 Hi Ginny Gorman Maybe time to relocate, we could conquer the local luxury home market as a team? Cheers, have a fun day!